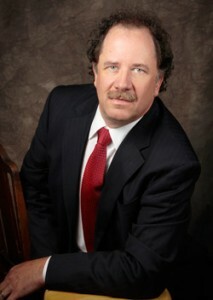 Michael J. Tario, Founding Attorney - Tario & Associates, P.S. Mr. Tario settled my auto accident case for 10 times what the insurance company offered me. He is a hard negotiator, while being very honest with me in the progress of my case and what he thought the outcome might be. He gave me solid advice and worked hard for me from beginning to the end. I would definitely seek Mr. Tario’s help again. Michael John Tario is thought of by many as being one of Washington State’s most experienced and successful trial lawyers. He has been practicing law for over 35 years and has the respect of his peers and the industry as exemplified by his many awards and high ratings*. Through most of his career, Mr. Tario practiced plaintiff personal injury and criminal defense but re-focused on plaintiff personal injury in 2006. During his career, Mr. Tario has successfully represented over 2,000 clients. He has negotiated well over 1,500 favorable out-of-court settlements, but where settlement was not possible, he has taken hundreds of cases to trial; fighting hard to protect the rights and interests of his clients. Michael is known for his hard fighting tenacity, his determination, and his commitment to try to do everything possible (within the bounds of the law) to give his clients “top notch” representation. While no attorney can win every case he/she handles, Mr. Tario’s win/loss record speaks for itself. His advertised claim of “proven record of success” is based upon the results obtained in and out of court since 1979. Mr. Tario has resided in Bellingham, Washington since 1979 when he graduated from the University of Puget Sound Law School (now Seattle University Law School). Prior to attending law school, Mr. Tario obtained both a Bachelor of Arts and Masters Degree in Persuasion and Speech Communication and Psychology (both degrees with Honors). In particular, he studied the psychology and social dynamics of perception and persuasion, focusing on the cognitive processes associated with the development of speech communication skills and persuasion techniques. Mr. Tario’s undergraduate and graduate education afforded him significant insight and skills, directly contributing to his success. Mr. Tario is admitted to practice law in the United States Supreme Court, the Supreme Court for the State of Washington, the 9th Circuit Court of Appeals, and the Federal District courts for the Western and Eastern Districts of Washington. Mr. Tario has appeared and represented clients on a “pro hac vice” basis in various other states including Alaska, Oregon, and California. He has been a continuing legal education teacher, a judge pro tem, a member of the Washington State Bar Association, the American Bar Association, the American Trial Lawyers Association, the Washington State Association for Justice, the Federal Bar Association for the Western District of Washington, and the National Association of Criminal Defense Attorneys. Mr. Tario is one of the thirty-three founding members of the Washington Association of Criminal Defense Attorneys. *In December 2016, Mr. Tario received the Distinguished Lawyer Designation from the Expert Network, which is only conferred upon the Top 3 percent of Lawyers in North America. 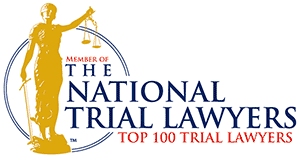 In May 2015, Mr. Tario was awarded “Top Rated Lawyer” for Litigation from Martindale-Hubbel. Every year since 1997 he has earned a “Very High–Distinguished” and a “BV Distinguished Attorney” rating from Martindale-Hubbell which signifies a very high rating in both legal ability and ethical standards. In 2014 he also earned the “Client Distinction Award” from Martindale-Hubbell. In 2014, he was recognized as being one of the nation’s “Top 100 Trial Lawyers” by the National Trial Lawyers Association. In 2013, he was ranked in the “Top Lawyers in Washington” for Ethical Standards and Professional Excellence by the Legal Network. This award is given to those who are recognized for excellence in quality of service; overall value; responsiveness; and communication ability based on actual client reviews. In 2007, the Bellingham Business Journal rated Mr. Tario as “The Best Attorney in Bellingham to Defend You in a Lawsuit”. Mr. Tario is a member of the Million Dollar Advocates Forum and he has earned a 2014 “Superb” 10.0 rating and a 2012 client’s choice award, both with Avvo. Mr. Tario has made guest appearances or has been interviewed or appeared on various local, national and international television, radio, and news programs including “The O’Riley Factor” (Fox News), “Court TV”, NPR, PBS, MSNBC, CNN, ABC, and NBC. Michael is an avid sportsman, seaplane pilot, and sailor. He also enjoys camping, fishing, hunting, hiking, and sailing and exploring with his friends and family.